John Legend sticksman Swiss Chris is heading to the Midlands this week for a one-off UK clinic. The session drummer will be at Sheehans Music in Leicester on 13 July. 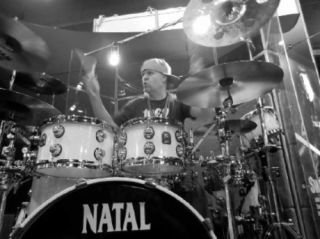 How to play to the click and with loops and samples, the physical and mental approaches to drumming and triplet sticking techniques will be among the topics on the agenda. The show kicks off at 7PM. For more information contact Sheehans Music on 0116 255 7492.